Gold Standard Ventures Has Three Drill Rigs Active At Dark Star! January 22, 2019 – Vancouver, B.C. 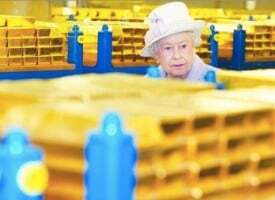 – Gold Standard Ventures Corp. (TSX: GSV; NYSE AMERICAN: GSV) (“Gold Standard” or the “Company”) today announced the continuation of step out and infill drilling at the Dark Star oxide gold deposit on its 100%-owned/controlled Railroad-Pinion Project in Nevada’s Carlin Trend. The current program consists of approximately 9,150m of drilling in 67 reverse-circulation (“RC”) holes, and is a continuation of the expanded development program announced on September 20, 2018 (see news release). Three RC rigs are on site assessing targets in the northern portion of the deposit where mineralization is open to the north, west and at depth; and shallow oxide targets in the southern portion of the deposit that remain open to the southeast. The Company also released results from three Dark Star core holes drilled in 2018. DC18-24 intersected 35.7m of 0.60 g Au/t and is 100m northwest of DC18-18. With this press release, ten drill holes remain to be reported from the 2018 Dark Star drill program. Seven of the ten holes are step out and infill holes in the northern portion of Dark Star. 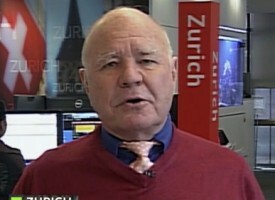 NEW: Marc Faber Warns Unprecedented Distortions In Global Markets – Buy Gold!